Jo S: This week is all about the independents for me - Marvel gives me just the All-New Guardians Of The Galaxy #8 and DC yields just two; Batwoman #6 (this series has been so patchy for me, but the great issues have outweighed the iffy ones and the art is gorgeous) and I’m giving Dark Nights: Metal #1 a try, because… well because METAL - but there’s so much great stuff going on outside the Big Two this week. Bunn and Luckert’s horror who-or-what-dunnit Regression reaches issue #4 this week; it seems I've developed a taste for the gruesome, at least in comic book form. A couple of issue #2s make the cut: having seen (and enjoyed) the movie, I'm enjoying the different strand of War For The Planet Of The Apes, and whilst Time And Vine isn't a thrill a minute, the first issue was a pleasantly gentle contrast to the bloody violence of some of my list recently! The unexpected treat that is Magnus hits issue #3; this is no run-of-the-mill tale of robots v humans, but blends an interesting murder mystery theme with thoughts on what it means to be human, on artificial intelligence and on the rights of the non-human. My 'Most Anticipated' this week goes uncontested to Godshaper #5; I truly don't want this series to end, I love the world that Simon Spurrier has created here so much and fall headlong into Goonface’s gloriously colourful, gender-bending world of jazz and individual jehovahs each time. Last (and distinctly least) on my list is Sheena #0. Billed as a ‘riveting relaunch’ for the swimsuit-almost-clad jungle guardian, it has been advertised unceasingly for months which doesn’t feel like a strong recommendation. It's 25 cents though. Really, how bad can it be? Matt C: I haven't engaged with a DC event since Flashpoint, which was six years ago now (!) but a storyline I thoroughly enjoyed, although what followed was where things started coming unstuck for the publisher, at least as far as I was concerned, so there's that to consider I suppose (I'm not sure where I'm going with this...). Anyway: Metal. I really want this to be good. 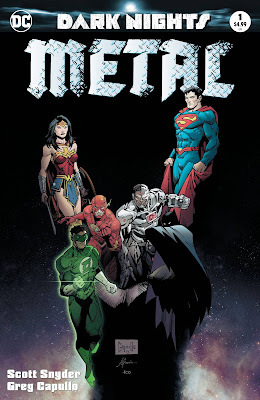 I really want to get stuck into the DC Universe again, and I have my fingers crossed that Scott Snyder is the man to make this happen. 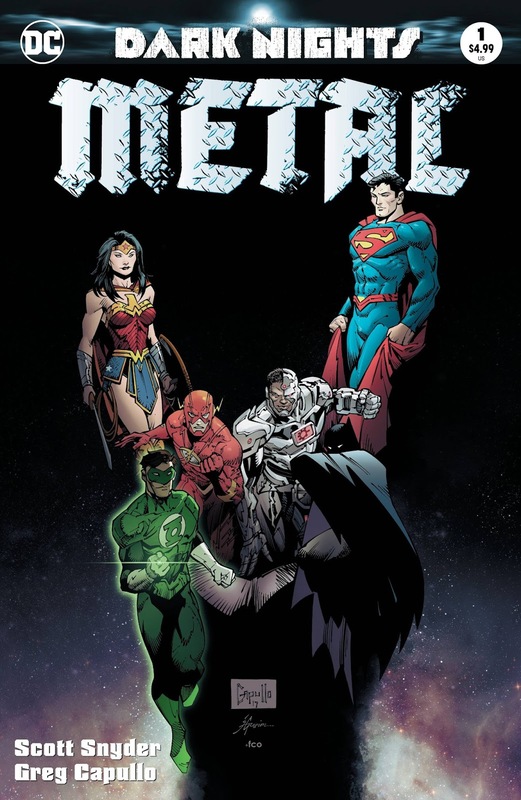 I'd kind of like it if the comic cover was made of actual metal, but we can't have everything. I have to say, I love the name of this event: Metal. Let's rock? Let's hope so! There's other stuff out Wednesday too, of course there is - the return of the magnificent Southern Bastards and the comic-you-should-be-reading-but-quite-possibly-aren't, Magnus - but I'll mostly be letting my hair down and praying to a pentagram (or something) that Metal delivers.